The “Mission: Impossible” is definitely going down in history as the most confusing action franchise ever conceived. But you know what? The films contain some of the most mind-blowing action sequences ever capture on film. The fifth in this ever evolving, yet always familiar, series subtitled “Rogue Nation” continues the breathless beats continued by Brad Bird’s 2011 hit “Ghost Protocol.” The newest entry’s wow fact is diminished slightly but not having an IMAX filmed sequence set the top of the world’ tallest building but it has several standout sequences most other action films could only dream of having. The film remains true to the Mission Impossible series by having amazing action while the slower scenes are filled with impossible to understand exposition and vocabulary only recognized by whatever CIA members or other agents might be in the audience. “Mission Impossible - Rogue Nation” begins with an action sequence so crazy that it could have only be done for real. And that involves, as the film’s marketing campaign heavily showed us, Tom Cruise literally hanging off an airplane as it takes off into the air. It’s a thrilling opening and it sets the stage for the craziness that will ensue. And since one cannot so simply summarize the plot of a Misison Impossible film it makes more sense to just acknowledge the other elements that make or break the film. At the film’s core is a beautifully directed sequence set inside a Vienna opera house shot with Hitchcockian precision. Director Christopher “The Usual Suspects” McQuarrie, taking the realms from Brad Bird, injects a tad more serious tone to the proceedings but it’s no less fun and his opera scene is every bit as exciting as watching Tom Cruise hanging off of a skyscraper. The plot basically involves Cruise’s immortal IMF agent Ethan Hunt, still on the search for the evil Syndicate which brings him to Vienna to stop a possible assassination. This opera sequence contains almost no dialogue and is filled to the brim with suspense and expert editing and camerawork. Another standout sequence involves Hunt attempt to infiltrate a computer server locked away underwater. It’s a thrilling sequence with almost unbearable tension even if you know that Hunt is literally indestructible. It literally feels like an impossible mission, but we, the audience, know better. The film also takes a page from James Bond and features a great car and motorcycle chase. I think most of these films have learned after seeing the terrific stunt work in Christopher Nolan’s films and Sam Mendes’ Skyfall. You’ve got to step it up otherwise it’s yawn city. 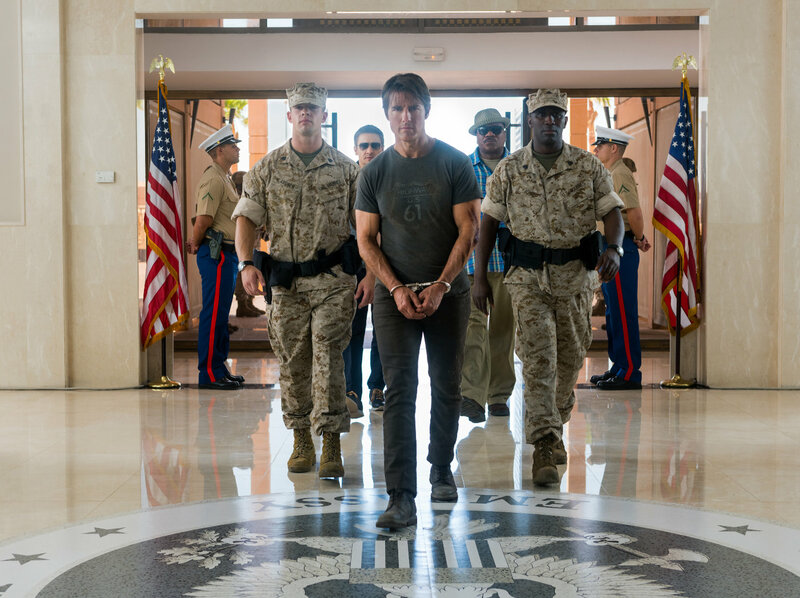 Theatrical Trailer for Mission: Impossible Rogue Nation on TrailerAddict.